If you have something in common with 100 million people around the world, it might be that you took the subway to work today. Just like aboveground in the city, the air you breathed during your trip was likely polluted, in this case by tiny flakes of metal produced by the mechanical wear of trains running on their rails and the friction of their brakes on the wheels. These metal particles tens times smaller than the diameter of a human hair penetrate our lungs and can lead to respiratory and cardiovascular disease. In some subways, their levels even exceed limits for outdoor air pollution recommended by the World Health Organization, yet research on the subject is sparse and incomplete. Dr. Fulvio Amato is conducting an innovative study to collect an extensive range of data, including levels of different types of particles, their shape and chemical composition, and effects on the human body. Barcelona is the focus of his project, where almost one-third of the working population commutes by subway each day. Through continuous monitoring of air pollution on platforms and in tunnels, he has been able to identify the contribution of different sources and recommend strategies to reduce it. Tunnel ventilation and station design are the two main factors affecting air quality in the Barcelona subway system, Dr. Amato has found. In stations where panels with doors separate the platform from the rails, he found that passengers were exposed to only half the amount of particle pollutants, compared to traditional, open designs. 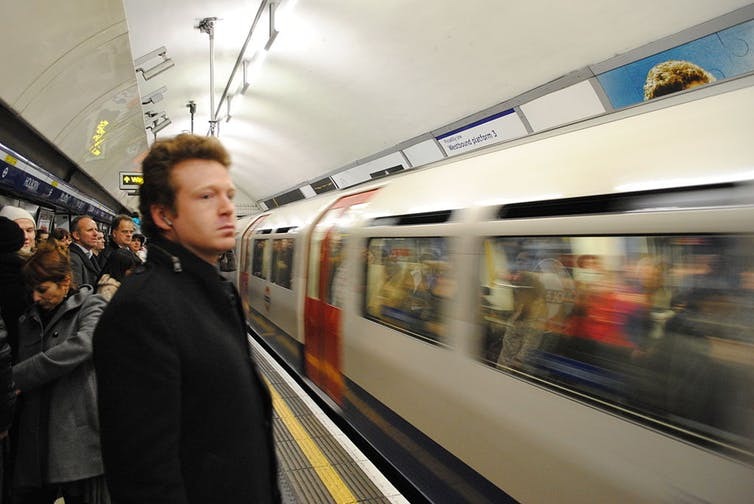 By providing such concrete advice to managers of urban transport systems, Dr. Amato’s work will help reduce the serious health risks of breathing polluted air for the many millions of passengers using subway systems around the world.